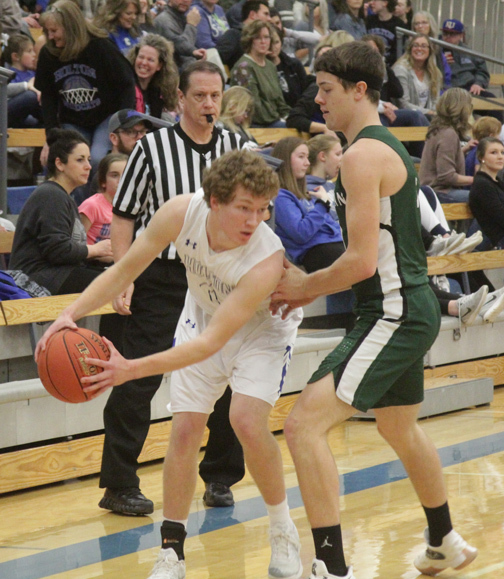 On Jan. 25, the Holton Wildcats hosted the Chapman Irish. 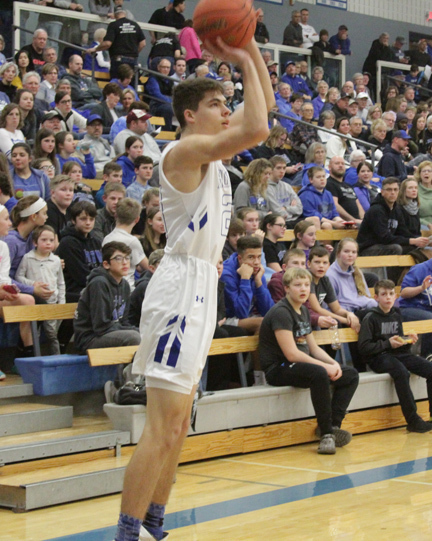 The first photo is Holton senior Zane Moylan, as he takes a long shot aginst the Irish. The second photo is Holton junior Trey Wright, as he looks to drive to the basket aginst his Chapman defender.